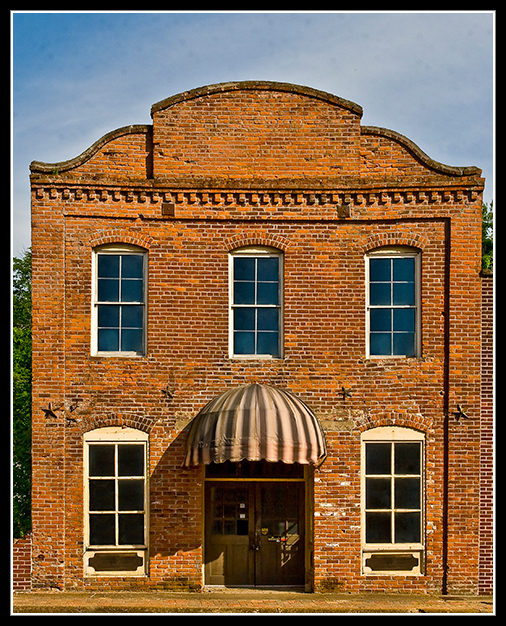 Wash Rose, a former slave, came to Yazoo City from South Carolina in 1866 and started a blacksmith shop in this two-story brick building, circa 1870. With its heavy, tall arched and shaped parapet and denticulated cornice, this is one of the oldest remaining commercial buildings in Yazoo City, having survived the Fire of 1904. *Photo from 2010. Unfortunately, a portion of this building collapsed in 2018. This is my great granddad Wash Rose, I’d love to learn more about him and connect with kin. Wash Rose was my great-grandfather. As I understand the history, as told by my grandmother, He came to Yazoo City after the Civil War and set up a blacksmith shop. He was captured in Africa and enslaved in South Carolina. He made extra money working as a blacksmith and was able to buy his freedom, so he came to Yazoo City as a free person. His first wife died after giving birth to 6 or 7 children. He remarried and had another 5 or 6 children. My grandmother was from his first wife; her name was Margret Rose Campbelle. She married R. B. Campbelle and raised two children, R. B. jr. and Marguerite (my mother) in Nashville, TN. She graduated from Clark University in Atlanta in 1912, and died at approximately 108 years. My great aunt was from his second wife; her name was Helen P. Rose. She never married and was the dorm supervisor at Ayer Hall at Jackson State University in Jackson, MS. I have several cousins in Nashville who have a more complete history. I am currently living in the Boston, Massachusetts area. I am the granddaughter of Wash (Washington)Rose. I was there in Yazoo visiting several years ago to research my dad, grandfather and grandmother’s genealogy and history. It was then that I discovered that my grandfather and dad worked together as blacksmiths. I saw this building. It was in disrepair at the time. It now looks as though it has been renovated. I’m so glad. Is there a plaque with his name on the building? Hello, Ms. Daniels. We would be glad to help in any way we can. Please call us at 800-381-0662 and we’ll give you some information. Thanks so much for your comment! Hope to see you in Yazoo soon.